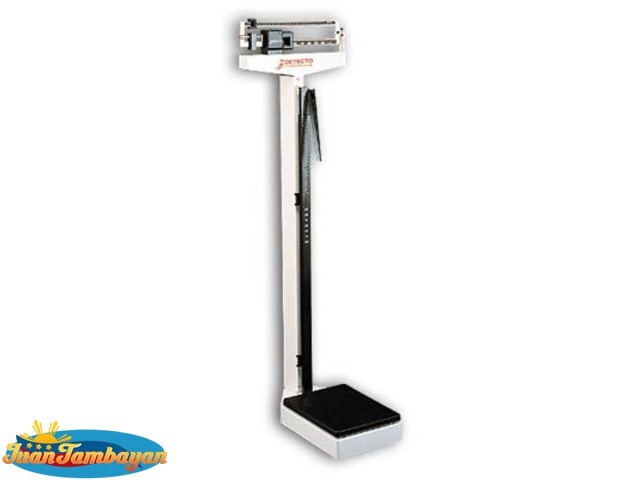 Eye-level Beam Weight Scale features a height rod in inches and centimeters. The platform cover is easily removed for cleaning. The die-cast beam is dual reading, so it can be easily read from either side, and measures in bothe pounds and kilograms. Detecto continues to set the pace in the clinical scale industry, backed by over a century of leadership. Every Detecto physician scale features a time-honored reputation for rigid construction and precision engineering. This assures an unbeatably rugged product that guarantees accuracy and durability. All Detecto scales are tested with weights traceable to the U.S. Bureau of Standards.